Yeah, I loves me some Star Wars. And I loves me some vinyl toys. And I loves me some typing like I'm a hillbilly about to leave for his moonshine run in the mountains of West Virginia. 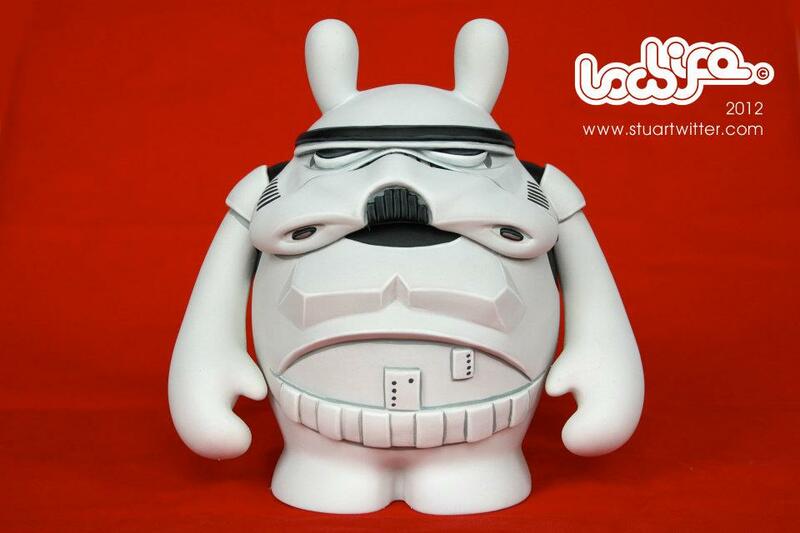 This amazing custom Stormtrooper is by Stuart Witter. He utilized the new Dude platform toy from Dudebox as the base for this galactic police bro who seems to be in love with fast food. I think this is what would have happened if they cloned Michael Moore instead of Jango Fett in the movies. Check out more from Stuart by going to http://www.stuartwitter.com/.